There are many foreigners wondering how to open a company in Malaysia. This is because Malaysia has become a top investments hub in South Asia. The World Bank in 2016 ranked Malaysia at 18th for the ease of doing business. The steps in opening a company are also pretty straightforward making it easy for foreigners and residents alike to open companies. The private company is called a Sendirian Berhad (Sdn. Bhd.). The Companies Commission of Malaysia (SSM) registers these kinds of companies. While an investor can do self-registration, it is advisable to use company incorporation services. This is because the registration must be handled by a certified company secretary. 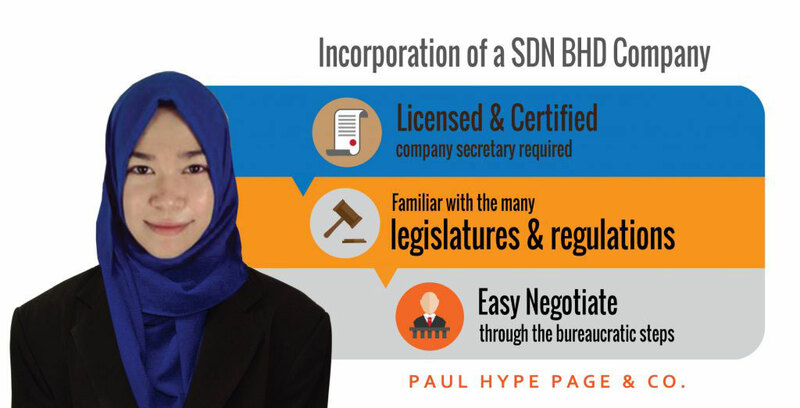 By using a companies incorporation service you can negotiate through the bureaucratic steps easier and register your Sdn Bhd company in a shorter time. At least one (1) director who is at least 18 years of age and lives in Malaysia. He/she should not be bankrupt and should not have been convicted and imprisoned in the past 5 years. A company incorporation service can provide Local Resident Nominee Director Service if required. At least one (1) Company Secretary. The person should a member of any one of the prescribed professional bodies recognized by the SSM. A company incorporation service can also provide this service. The company must have a registered office in Malaysia to which official correspondence and notices may be addressed. Malaysian law allows the use of a secretarial office as the registered office. A company incorporation service can provide this service too. There are also other types of company incorporation to consider. 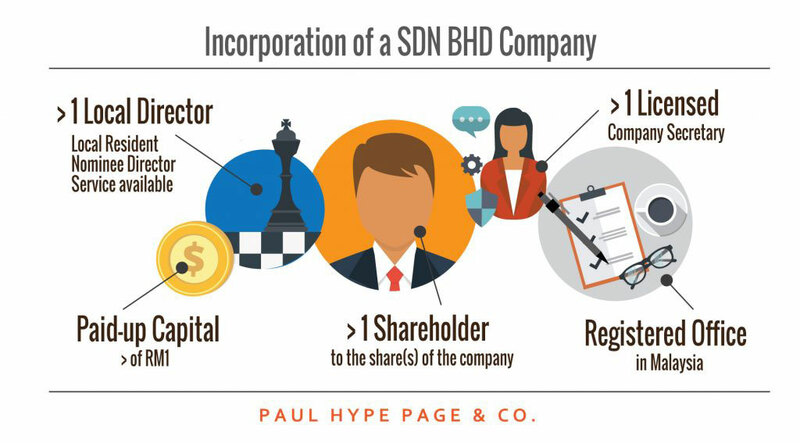 The company incorporation service follows these steps when registering a Sdn Bhd company. The name search is done online via the MyCoID online portal at http://ww1.ssm-mycoid.com.my/omni/omni/portal/mycoid. The registration fee will depend on the amount of authorized nominal share capital. The amounts range from MYR 1,000- 70,000. The company secretary will obtain company incorporation certificate (Form 9) and other post-incorporation items such as the company seal, statutory books, and the share certificate. To more know about timeline of incorporation for Sdn Bhd company. The Inland Revenue Board of Malaysia (LHDN) registers all taxpayers. Registration can be done online using the MyCoID portal number on LHDN portal e-daftar.hasil.gov.my or it can be done in person. The documents required for this are the Certificate of Incorporation (Form 9) and the Particulars of Shareholders, directors, manager and the company secretary (Form 49) must be attached. A cheque or bank draft for contribution of the first month’s EPF where applicable. All employers in Malaysia are required to register for social security for their employees. This is done at the Social Security Organization (SOCSO- Perkeso). The certificate of incorporation documents is required and the details of the employees being placed on the scheme. All employees earning over MYR 30,000 must indicate whether they have opted out of the employer’s scheme.